Learning through play has gained momentum in early childhood education and beyond. Yet translating well-meaning policies into concrete teaching practices is a complex process. 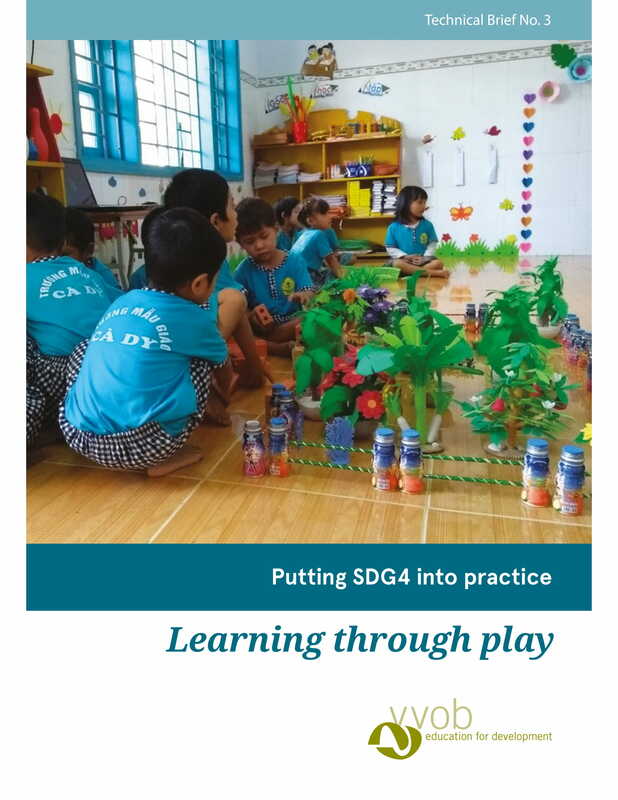 This technical brief by VVOB (1) zooms in on the proven positive effects of learning through play on a child's wellbeing and involvement in learning, (2) discusses characteristics and types of learning through play, and (3) delves deeper into VVOB's approach to implementing learning through play, with case studies from partner countries Vietnam and Zambia. This technical brief is freely available for download. Please use it!